Clay started performing in Branson at the age of 16 and now celebrates his 33rd season in Branson doing what he loves at his own theatre! His unbelievable talent, hysterical comedy and down-home personality bring the audience back time and time again. Come see Clay Cooper and his Live Band, 11 Dancers, Third Power, and Comedian Matt Gumm! We also have outstanding youth entertainers Colton & Caden Cooper! 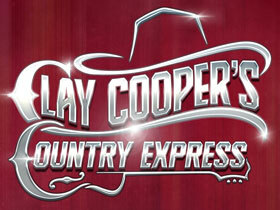 Clay Cooper’s Country Express has something for everyone with 24 entertainers on stage, great visual effects and a variety of music – old and new country, rock, current hits, gospel, and patriotic! It’s more than just country! You don’t want to miss it!